Business is moving to the cloud. According to IDC predictions for 2011, 80% of new software will be available as cloud services; by 2014, over one-third of software purchases will be delivered through the cloud. * To keep pace with their customers and employers, most IT professionals and developers will require additional skills. If you’re ready for the challenge, Microsoft is ready to help. Our new training courses will help you acquire the skills you need for success, and our new certifications will help you prove your knowledge and skills to employers and customers. MCPD: Web Developer 4 Earning the MCPD: Web Developer 4 certification will help you gain core web development skills and better prepare you to develop for the cloud. It is not required to pursue the MCPD: Windows Azure Developer certification. MCPD: Windows Developer 4 Earning the MCPD: Windows Developer 4 certification will help you gain core Windows development skills and better prepare you to develop for the cloud. It is not required to pursue the MCPD: Windows Azure Developer certification. MCPD: Windows Azure Developer Show employers and clients that you are ready to support the move to cloud services by earning the MCPD: Windows Azure Developer certification. This certification validates your ability to design, build, and deploy cloud-based applications for hosting on the Windows Azure platform. MCITP: Server Administrator Earning the MCITP: Server Administrator certification will help you gain core Windows Server skills and better prepare you to support a cloud infrastructure. It is not required to pursue the MCITP: Virtualization Administrator certification. MCITP: Virtualization Administrator Get ready for private cloud by earning your MCITP: Virtualization Administrator certification. This certification validates your knowledge and skills in designing and deploying virtualization solutions when using Windows Server 2008 R2 in an enterprise organization. MCITP: Enterprise Messaging Administrator 20101 Demonstrate your professional messaging expertise by earning the MCITP: Enterprise Messaging Administrator certification. Updates to include cloud-related skills coming soon. 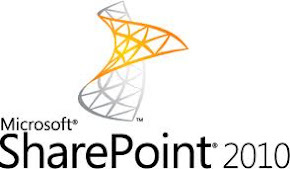 Demonstrate your SharePoint 2010 administration skills. Updates to include cloud-related skills coming soon. Dynamics CRM 2011 Certifications3 New certifications will cover relevant skills for both cloud and on premise implementations of Microsoft Dynamics CRM 2011. Certifications include Microsoft Dynamics CRM 2011 Applications and Microsoft Dynamics 2011 Customization and Configuration. MCITP: Lync Server 2010 Administrator4 This certification shows that you have the skills to deploy and configure Lync Server 2010, an integral part of the Microsoft SaaS offering—Office 365.